Overwhelmed? Don’t know how to get setup in Hong Kong? Want to get started with your international business with the top notch service you need and deserve? Then look no further – Michael Michelini and the team at Global From Asia will help ensure you don’t miss a beat and optimize your company setup here. Company Name Assistance – together we’ll decide your company name, and if you should get a shelf company or file a new company. Completing all the government documents and applications. All government fees are included in our price. This does not include the “Green box” and chops and seal, as we cater to online based business owners who don’t need this. Issue your completed Hong Kong company setup documents. We will have up to 3 certified copies for you ready to apply to the bank accounts when needed. Banking Application and appointment booking for 3 recommended Hong Kong banks. We work alongside you on preparing all the supporting documents. 1 on 1 Coaching meeting in Hong Kong before going to the banks interviews – You need to come to Hong Kong (or Mainland China) to apply for the bank accounts. Personalized consultation call with our team of professional consultants. One of our representatives will be in touch with you right away and evaluate if this is right for you or not. Introductions to HK contacts relevant to your specific business. Up to 3 businesses or people. Featured client on the new services page, if you so desire. So, what do you think? As excited as I am to rock and roll with your global business via a Hong Kong limited company structure?! As an approved partner of Neat HK, we want to make a special offer to readers who want to leverage the power of a Neat bank we have put our GFA incorporation package together with Neat in one go. With this package, you will get the same GFA company setup package covering you for the first year, plus all the goodies and benefits of GFA’s member benefits combined with the power of an online banking solution Neat in an expedited and smooth way. So let’s make it happen, and get this unique offer to support online business owners growing and succeeding again with Hong Kong business structures. Hong Kong is a great place to do business. The biggest hassle has become opening a bank account, and I will work with you to make sure this happen. I have helped a few people in DC work through this process and have a lot of strategies to make it work. 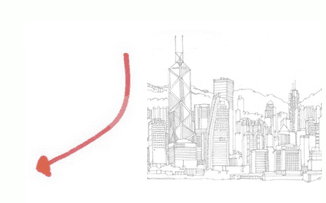 Safe / respectable place – I love using the HK skyline background, don’t you? China at its doorstep and can receive Chinese cash! 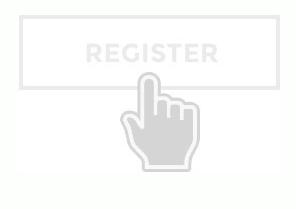 Use the automated scheduling system to reserve your time slots with our sales specialist. They will give you the proper setup information and ensure you are doing it properly. Company Setup – Come To HK For Your Banking! Your company will be setup and you will be ready to arrange your trip to hong kong for bank applications. Depending on your package level, we will assist with arranging bank appointments. Set Up Your Hong Kong Company With our White Glove Service Today! Running a global business is an awesome privilege we have – maximize it with a Hong Kong company structure. Regardless if you use my service or not, I’d love to chat with you if you have or are thinking about opening a company in Hong Kong! So we have been listening to your feedback and we have a deal….we will NOT be involved with your USA filing and simply process your application like the rest. As we are American owned company in Hong Kong, we will request you specifically tell us that you are going to satisfy the requirements back in American on reporting and filing with your own service provider, or do it yourself. We'll process you the same as the others. But will ask you sign a waiver on our behalf that you will be declaring your company to the US and do not give us any liability. Is Hong Kong right for me? Do I Need To Come to Hong Kong? Yes! Not for the company setup, but for the bank account application. Banks are very traditional and a bit strict, and want to meet the director (s) face to face. There is another option, you can apply as HSBC in Mainland China, but the costs are almost the same as flying out to Hong Kong! From you making the payment, and then filling out the proper government forms and mailing back to me in Hong Kong – approximately 2 weeks. If you want to go faster we can do a shelf company no problem – same cost. Note: For bank account opening ,you need to do it from Hong Kong, or Mainland China, in person. Why can’t I use a cheap service ? isten : you could probably find a cheaper service. We are the “white gloves” option. Here’s what you should keep in mind : you always get what you pay for. And we are talking about the legal foundation of your business here. Is this something you really want to be skimpy on ? We’ll give you the peace of mind that everything is taken care of with great attention and that any question or problem that might arise will be handled by an expert immediately. Also take into consideration we help with banking introductions at multiple banks and will follow along with you. That is a bit more rare. How much do I need to pay in taxes? A short question, but can be a rather longer answer! The corporate tax rate in Hong Kong is 16.5% as a domestic Hong Kong Limited company. 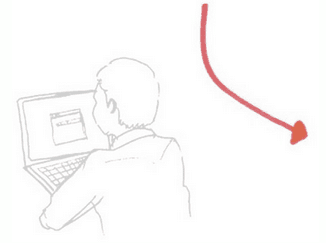 There is offshore status where you pay 0%, but you need to qualify. The default tax rate in Hong Kong is 16.5% corporate tax (for business profits). If you can prove offshore status, you get a 0% exemption as well! What payment processors are there? Does it come with company chop and seal? This package does NOT include the “Green box” and chops and seal, as we cater to online based business owners who don’t need this. What if I’m not ready yet? During our initial free 20 minute phone call and I will advise you if I believe it is the right time for you or not. If you do believe in long term you will need a Hong Kong company, then in my opinion it is getting harder to open bank accounts overseas, and the sooner you get one the sooner you can be assured you will be able to move forward with your international business. I’ll only accept you as a client if I believe it is right for you, as well as for the banks. What if I can’t get a bank account opened? I only accept clients who I believe can get approved for a bank account. I will work with you – if HSBC doesnt work, we just keep going down the list to the more local options. Americans may be extra difficult – but I know it is possible. If I think you will not get approved for a bank account (we cannot make a clear case why you need a HK company) then I may reject your application and refund your money before we start the process. Why Are US Citizen Packages More? Great Question. Due to higher regulations and additional paperwork for Americans, we have made the tough choice to have a separate price for US Citizens. This is in a best effort to keep our service package price reasonable for those who are not US citizens, rather than raising the price for all new clients. What If Its Only Partly Owned By Americans? If there is a director who owns more than 10% of the company, then these higher regulations will be in place. Because of the extra costs and procedures we need to comply with, this will be at the US citizen package level. Sure! We are one of the few agencies who can accept all forms of payment – credit card, Paypal, bank transfer, even bitcoin (upon request). Can I run more than 1 business from a Hong Kong company? So long as you make it clear to your customers and the bank what business(es) you are doing, it should be fine. Please speak to us for more clarity. What is needed every year for compliance and cost? Still not sure which package, or if this is right for you? We have a couple different options for you to choose from to help you do your research. The textbook and guide for someone opening their Hong Kong company for the first time or at the beginning stages. There are 3 levels of this package, first is the guidebook, then there is a full online training course with members forum, and then there’s the VIP package with weekly calls and all! 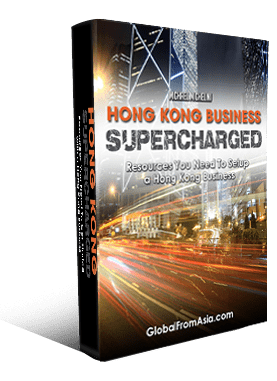 Read More on Hong Kong Supercharged Now! Want to hop on a private 1 on 1 consulting call with us about business in China, Hong Kong, or business in general? 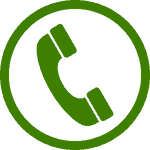 We have calls you can buy in thirty minute increments and we can have a detailed call about your specific business need.